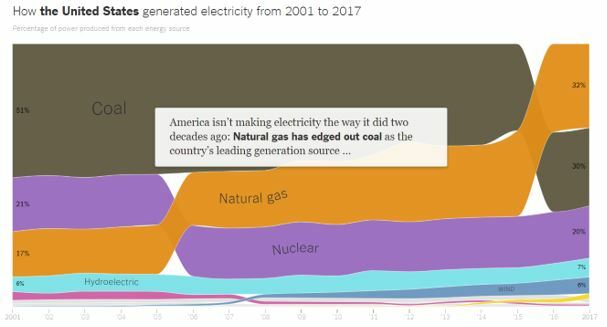 “Switching from coal to gas is a fine thing to do in the short run, but it’s not a solution in the longer run,” said Severin Borenstein, Director of the Energy Institute at the University of California, Berkeley’s Haas School of Business. While the long term goal is to reduce natural gas use, that may be challenging to do in the short run. That could benefit natural gas companies. Tellurian Inc’s (Nasdaq: TELL) proposed Driftwood liquefied natural gas (LNG) project in Louisiana took a major step forward on Friday as the U.S. federal energy regulator issued a final environmental report clearing the way for the company to seek a permit to build the export terminal. The company said it now needs an order from the Federal Energy Regulatory Commission (FERC) allowing the construction and operation of the 27.6 million tons per annum (mtpa) liquefaction plant aimed at meeting growing global demand for the supercooled fuel. “Tellurian will then stand ready to make a final investment decision and begin construction in the first half of 2019, with the first LNG expected in 2023, said Tellurian Chief Executive Meg Gentle in an statement. This news seems to have boosted the stock in the short run. And, the up-tick could mark a longer-term bottom in the stock. As with the ownership of any stock, buying TELL could require a significant amount of capital and exposes the investor to standard risks of owning a stock. For TELL, the April 18 options allow a trader to gain exposure to the stock. An April 18 $10 call option can be bought for about $0.85 and the April 18 $12.50 call could be sold for about $0.50. This trade would cost $0.35 to open, or $35 since each contract covers 100 shares of stock. In this trade, the maximum loss would be equal to the amount spent to open the trade, or $35. For this trade in TELL the maximum gain is $2.15 ($12.50 – $10 = $2.50; $2.50 – $0.35 = $2.15). This represents $215 per contract since each contract covers 100 shares. 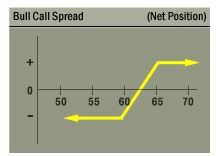 Most brokers will require minimum trading capital equal to the risk on the trade, or $35 to open this trade. That is a potential gain of about 514% based on the amount risked in the trade. The trade could be closed early if the maximum gain is realized before the options expire.